Venetian Pointe remains a very busy place. 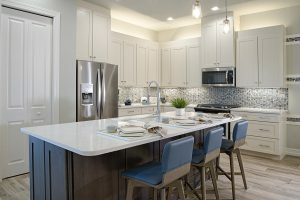 Throughout the community many pre-sold and inventory homes are in various stages of construction, with the first homes scheduled to be completed next month. Since our four models opened in late February, more than 1,500 visitors have stopped by to tour them. Perhaps you were one. If you haven’t yet, we encourage you to do so, and while visiting don’t forget to ask our sales staff about an exciting new floor plan we just introduced. It’s the Roma, a two-bedroom/two-bath plan with more than 1,500 square feet of living area. It features a large great room with sliders that lead out to the Florida room, a spacious master suite with luxurious bath, a guest suite that looks out onto the landscaped, front courtyard entry, and an attached two-car garage. 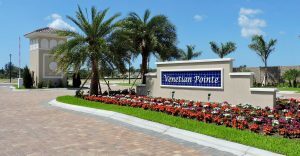 At only $279,900, the Roma is now the lowest priced home in Venetian Pointe. 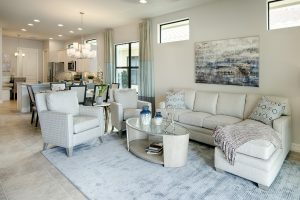 Combine the new floor plan with our original four beautifully designed and unique floor plans and you have five incredible reasons to visit Venetian Pointe today. 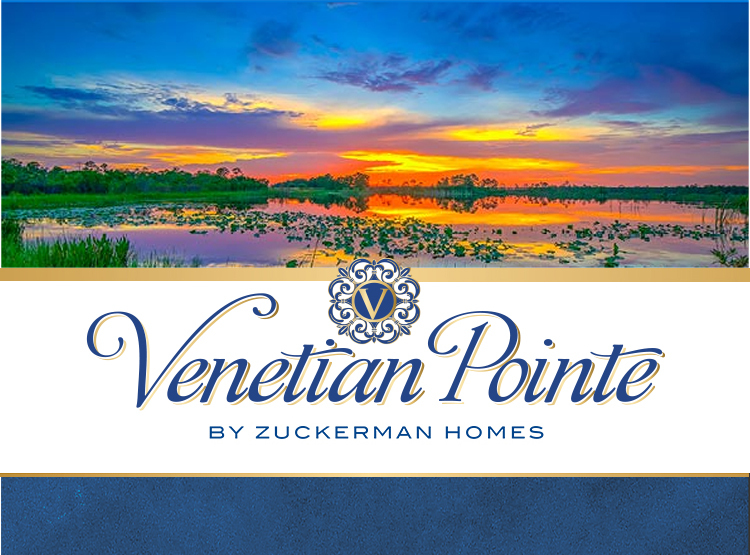 Don’t miss out on all the great features and benefits of life at Venetian Pointe by Zuckerman Homes.